SanDisk recently released iXpand, their latest USB flash drive series for iPhone and iPad with Lightning port. Need a handy way to expand the memory of your iOS device? The USB drive may be a nice solution. 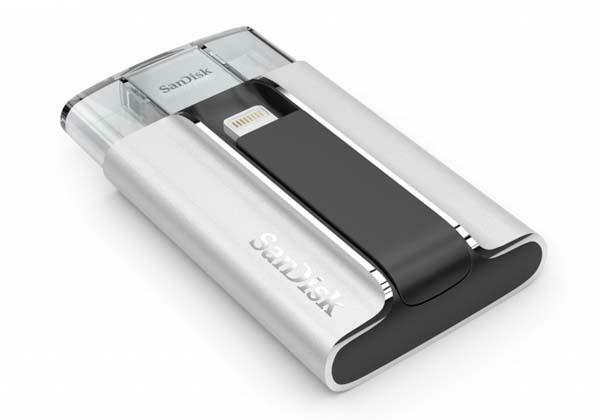 The iXpand is SanDisk’s latest USB flash drive dedicatedly designed for Lightning enabled iPhones and iPads. 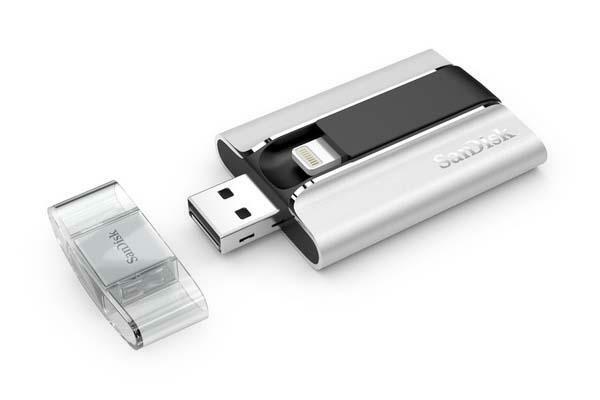 The USB drive measures 64.17 x 36.78 x 11.80mm, and as shown in the image, it sports an ultra compact design and comes with an integrated Lightning connector in order to connect with your iPhone or iPad. When connected, your iOS device automatically copies photos and videos to the USB drive. Moreover, a USB 2.0 connector allows it to connect with your computer for data transmission between your iOS devices and computers. The iXpand USB flash drive comes in three storage capacities, including 16GB, 32GB and 64GB, and starting at $59.99 USD. If you’re interested, jump to SanDisk Amazon Shop for more details.